Robobrew is an all-in-one brewing system that makes it easy for even the most inexperienced users to produce quality brews at home. The current version–the v3–is priced very reasonably, and comes with everything you need to heat and boil your mash efficiently. 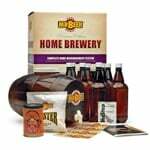 Unlike most other starter kits, the package includes a comprehensive range of features that make it possible to perform even more advanced brewing tasks. 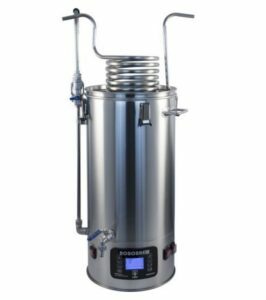 You can set and monitor temperatures to a precise degree, transfer your brew, and even recirculate your mixture, all from a single unit. As you will see from this Robobrew review, this could continue to be a useful and convenient system, even as your needs expand. 3 Robobrew Review: Is It Worth Buying? 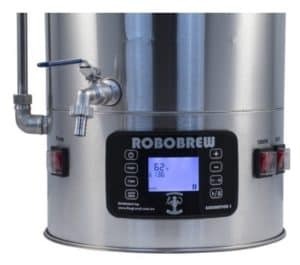 Robobrew has made considerable waves in the home brewing industry with its range of quality products that belie its affordable price point. 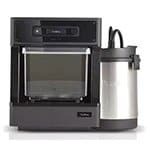 With the release of the v3, the company offers more of the same features and functionalities that have made it one of the leading names in affordable all-in-one home brewing systems. 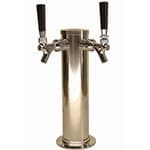 This product is a solidly-built unit that is durable enough to handle most home brewing tasks. Most of the metal components are robust and ruggedly built, although slightly thinner metal was used in some parts. This is especially apparent in the welded connectors and the trim edges. These could prove to be weak points over the long-term, but initial use shows that they are more than capable of handling the job. As mentioned previously, the system comes with features that you would normally find only in higher-priced units. Heating and boiling is a cinch with the high-grade heating elements, and there is a handy control panel for temperature setting and monitoring. This control panel is water resistant as well, which should improve longevity and durability. Other included features are the removable grain basket and the spigot that is intended for transferring the finished product. 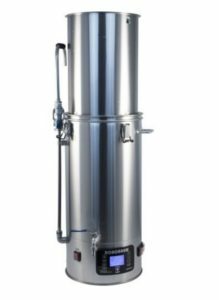 What really sets the product apart though is the magnetic drive pump that enables you to efficiently recirculate the wort during the mash process. Despite its wealth of features, this equipment remains extremely light and portable. Furthermore, it runs on 110v power so you can use it pretty much anywhere without having to make any special modifications. Special mention must also be made of the dual-heating elements, which have individual switches for more precise heating control. 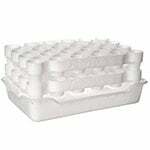 Comprised of a 1000-watt element and a 500-watt element, these provide impressive 1500-watt heating capability, all off a single 110v connector. With this system, ramping up the temperature quickly at the start of the mash process is a cinch. You could even get your mash from heating to boiling simply by flipping a switch. Other features may not be quite as revolutionary or technologically-advanced, but they definitely add a great deal of functionality and convenience to the Robobrew. For instance, there is a second false bottom that neatly helps you avoid the common problem of clogging the pump. There is also a delayed start timer so you can begin the heating process at the precise time, even if you aren’t around to do it. 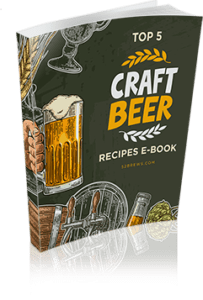 If there is anything we wish that could be improved with this all in one beer brewing system, it would be the aforementioned thinner-gauge metal used in some components. Some users may also have to compensate for the volume markings and the temperature settings, depending on their preferred way of working. Even without any further improvements, it is a consistently excellent unit that is reliable enough to provide quality service. 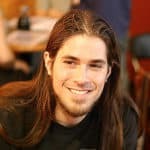 Robobrew Review: Is It Worth Buying? Robobrew is an affordably-priced brewing system that punches well above its weight. In fact, you would be hard-pressed to find similar functionality even in systems costing many times as much. 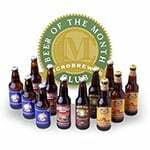 Perhaps the best thing about the system is that you don’t have to buy a lot of add-ons in order to produce excellent brews. Having a silicone tubing to fit onto the recirculation arm will provide you with even more control over the recirculation process, but this isn’t absolutely necessary. As it is, the Robobrew is one of the most comprehensive brewing systems you can get at this price range. The solid construction and quality design make this an even better deal for the money.